The high-powered stunt casting continues on NBC's 30 Rock, with Edie Falco signed to guest star for three episodes in a so far undisclosed role. 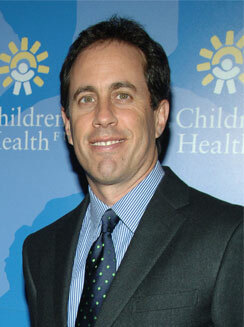 The former mainstay of The Sopranos joins Jerry Seinfeld as a 30 Rock-er. He'll play himself in an episode next season. "We're thrilled to have such an amazing actress join us," 30 Rock creator/producer/star Tina Fey says in a Peacock statement. "Also, a lot of guys on our crew want The Sopranos ending explained to them." 30 Rock returns on Oct. 4 as part of an acclaimed but ratings-impaired Thursday night comedy block that also includes The Office, My Name Is Earl and Scrubs.